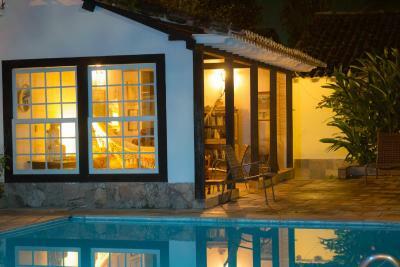 Lock in a great price for Pousada Pardieiro – rated 9.2 by recent guests! We especially enjoyed being there off season and during the week, making it a very quiet stay. 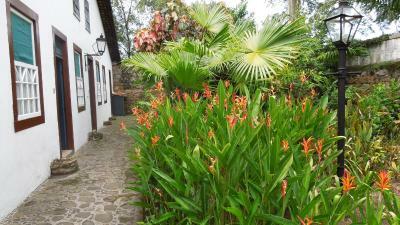 The pousada gardens are lush and very tastefully planted. The staff are most welcoming, very friendly and informative. The rooms are impeccable. All in all, a most gratifying experience. The location and the friendliness of the staff was great. The gardens and property were beautiful and relaxing. Arnauldo and his staff were very friendly. Loved the breakfast every morning, the pool area, and the monkeys! 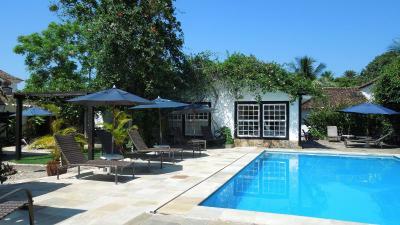 Very nice location near the center of Paraty. Quiet place. Amazing location. Nice local feel. Pool area and patio are very relaxing. Nice to see the monkeys visiting the area everyday. Great tropical feel. Beautiful property, full of nature and very friendly staff. Location is perfect. You feel as if you were staying in a secret garden. The common lounge areas tucked away around the property are wonderful. Wonderful place to relax. Each room is unique. Pretty, comfortable and spotless. Pool area, quiet and pleasant. 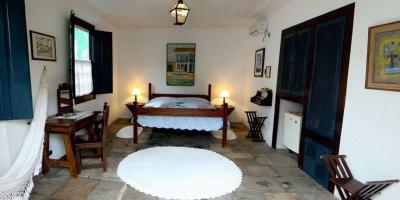 The setting in Paraty historic center is perfect. 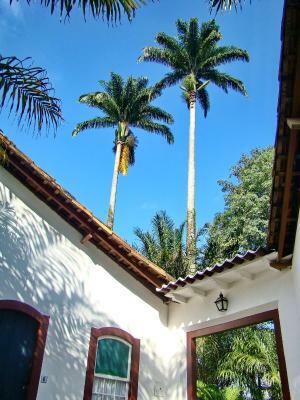 Many activities in Paraty and locally. Diving, boating, hiking, waterfall swimming, cooking school...... wonderful. 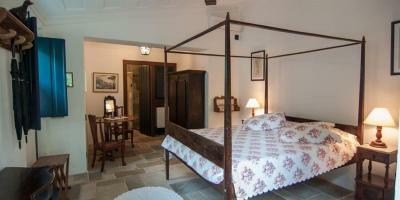 My favourite place to stay in Paraty! 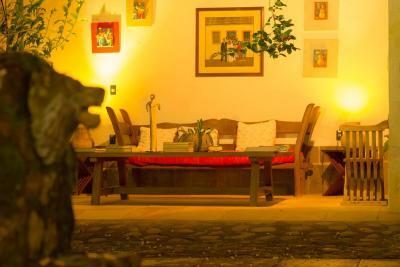 Lovely atmosphere , very calm oasis in Paraty. 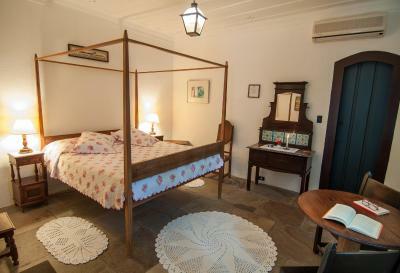 One of our top picks in Paraty.With its tropical gardens and beautiful swimming pool area, Pousada Pardieiro is an oasis of tranquility in the historical center of Paraty, close to the beach. Free Wi-Fi is available. 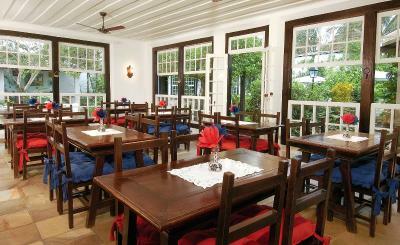 Pousada Pardieiro combines luxury with colonial architecture and décor. 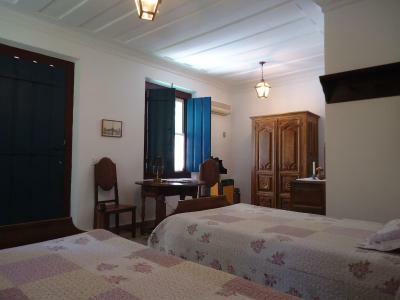 The rooms are appointed with traditional wooden furniture and come with air conditioning and mini-bar. 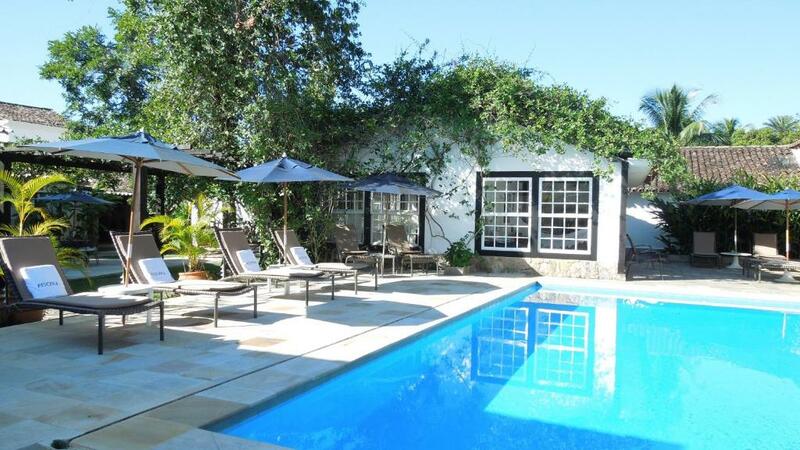 The property will provide you with a free breakfast with fresh orange juice and an array of fruit, bread and cake. Public transport links can be found nearby. 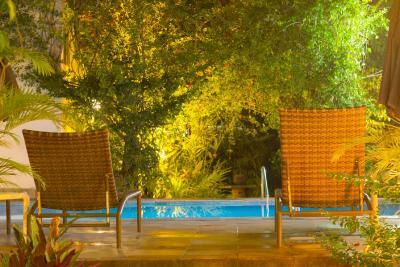 When would you like to stay at Pousada Pardieiro? 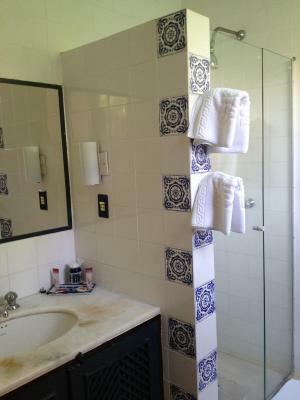 This air-conditioned room features a mini-bar and bathroom. This larger, air-conditioned room features a king-size bed, mini-bar and bathroom. House Rules Pousada Pardieiro takes special requests – add in the next step! Pousada Pardieiro accepts these cards and reserves the right to temporarily hold an amount prior to arrival. The sign posting to find the Pousada could be improved. GPS sends you to the hotel entrance that you can not access with a car. Turning around and arriving at hotel carpark (which is onsite) is not so easy. A quiet, location on the edge of the old town. Beautiful gardens and pool area. 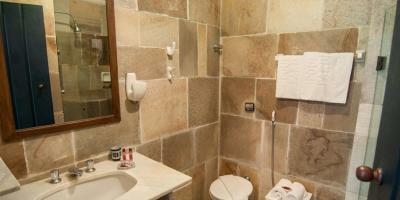 Rooms were air conditioned, clean and comfortable. 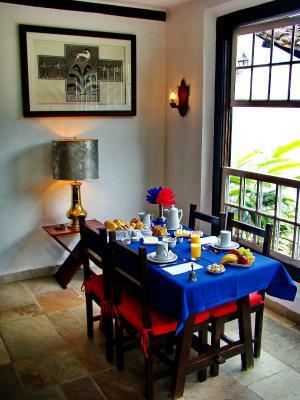 Great selection of fresh and baked goods at breakfast with freshly brewed coffee overlooking the gardens. 24 hour front desk with helpful, English speaking staff. We would definitely stay here again! The beds were terrible quality. The bathroom sink drain was just a big hole. We paid for our stay the night before the checkout, letting the staff know that we would leave very early in the morning. However we found out the next morning at 6am that they didn’t notify the morning staff about the payment nor our early departure. I provided the receptionist with the payment slip however he insisted on checking our payment. No fire emergency safety as the main door was locked from a discreet place and we weren’t able to leave at 6am without the staff opening it for us. Also we told them that we parked the car outside the parking lot and we weren’t notified that we could get a ticket for parking on the street which we were in fact fined for. Charming hotel in a gem of an old city. 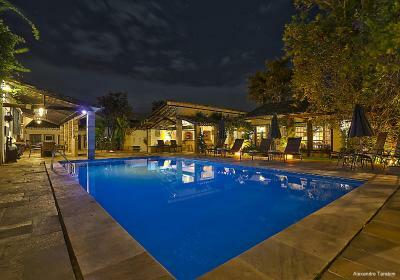 The hotel architectonally superbly adapted to the style of the surroundings. 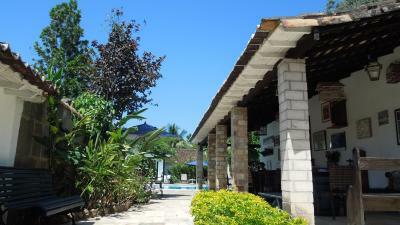 A very friendly and serviceminded staff contributed to a very satisfactory 2 days stay. Parking lot is not attached to the pousada but the walking is pleasant and the staff was always ready to help us out with our luggage. Excellent value for money! 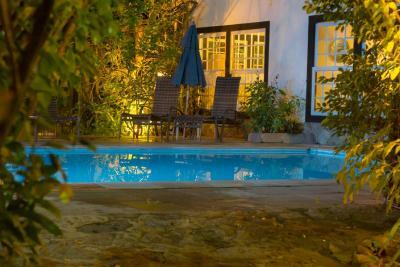 Simple hotel but cozy and with good price, good location and beautiful garden!